Cleaning out my reloading supplies and I came upon some Barnes .338 185gr XBT bullets. These are the molly coated Barnes X bullets which when loaded will give you around 200fps more velocity than their plain copper X bullets. I had them for my .340 Weatherby and they were loaded up to 3350fps in it. They shot great but I went another direction when the TTSX bullets came out. 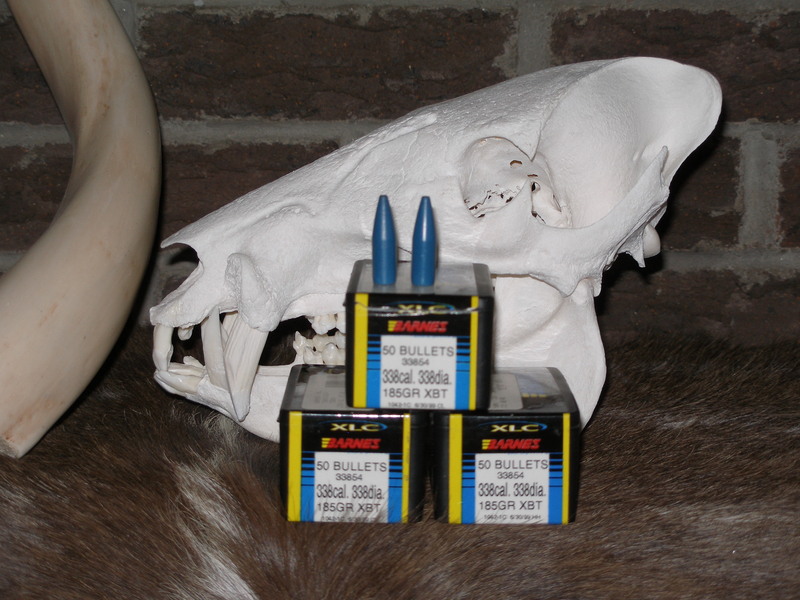 These bullets are also discontinued so once these are gone they are gone but I have 126 of them. I can also copy reloading information for you from the Barnes Number 3 manual if you don't have one. $50 to your door USPS in the US only.